Stalinism and Trotskyism appear to be back in vogue. Their shrouds are being waved — entryism here, a purge there — to terrify bystanders to the struggle over the future of the Labour Party. This illustrates the extent to which “dead Russians,” using the term slightly loosely, still hold the imagery and lexicon of the international left in thrall nearly a century after the October revolution. The perfect moment, then, for the publication of a new and definitive edition of Trotsky’s biography of Stalin? Trotsky had been paid $5,000 for the job by a US publisher who was accurately anticipating a sustained assault on the Soviet leader. But the exigencies of the wartime US-Soviet alliance meant publication of the unfinished manuscript was delayed and it finally appeared in 1946 as the cold war was picking up steam. That edition was marked by poor translation, the insertion of passages written by the translator rather than Trotsky himself and omissions from Trotsky’s notes and writings intended for the final version. In a herculean labour of love, Alan Woods and Rob Sewell of the Socialist Appeal group — that vindicated element of the old Militant tendency which argued that the fight in the Labour Party was not over — have restored the book to something more like what Trotsky would have intended. The first part, which takes the story of Stalin’s life roughly up to the point of the revolution, was finished by Trotsky before his death. For the rest, Woods has had to do more heavy lifting, with a maze of additions and brackets of varying shapes. It is now a dauntingly enormous work. Woods’s insertions may be an improvement on the previous ones but they have problems of their own. He still believes the cold war myth that Stalin ordered the murder of Kirov, a tale now comprehensively debunked by Western academics, and his assertions about the number of Red Army officers suppressed in the purges are wide of the mark by significant magnitudes. 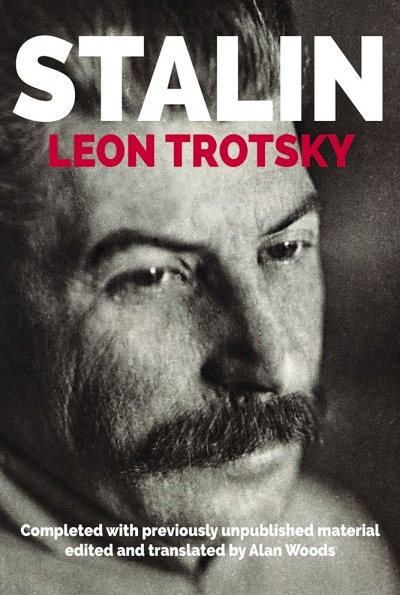 At any event, while this book has literary and historical merit, it has much less as an actual biography of Stalin. Obviously, it misses the last 13 years of Stalin’s life, including the second world war, altogether and the coverage of the 1930s when Trotsky was already in exile is very sketchy — there is little about industrialisation or collectivisation in the USSR, about Stalin’s diplomacy and more. A wealth of new archival material concerning Stalin and the tumultuous years of his leadership of the USSR and the world communist movement has long been available. From that point of view, Trotsky’s 76-year-old stab at the subject is archaic and some of his conjectures about Stalin’s early life simply provably wrong. Nor does Trotsky’s view that the terror of 1937-38 was above all directed at “old Bolsheviks” any longer attract the near-consensus it once did. The killing of former oppositionists is now known to have been a small part of a very much larger and more horrifying operation. Of course, Trotsky had one advantage over all subsequent biographers in that he actually knew Stalin personally. Yet that turns out to be a critical disadvantage in practice, as intimacy produced a level of venom and malice which devalues the book as a serious attempt to understand the man. Trotsky genuinely believed Stalin to be the bureaucratic usurper of the Russian revolution and the betrayer of world socialism. He theorised this as a consequence of his being the political expression of an apparatus of committee men who assumed effective power in a country ruined by civil war, with its working class effectively shattered. But there is more to Trotsky’s bile than Olympian Marxist analysis. His outrage at the fact that he, the great leader of the insurrection and the Red Army, should have come off second best to a man obviously inferior to him in every salient respect — orator, writer, reader of second and third languages and so on — permeates every page. This may be humanly understandable but it does not make for balance, or even nuance. Even so, some of Trotsky’s judgements are well-turned. Stalin is “inclined to favour the most resolute actions in solving the problems he has mastered. Under all conditions well-organised violence seems to him the shortest distance between two points.” True, that. Most, however, reveal merely that sneering contempt and even snobbery which alienated Trotsky from so many of his contemporaries. Stalin’s failure to learn foreign languages “exposes the quality of [his] intellectual equipment” — and that of nearly all communist workers then or since, it could be added. The contrast with Trotsky himself is unspoken but omnipresent. When Stalin’s alleged “hatred for anybody with outstanding ability” is cited, it is not hard to imagine who is being referred to. Left unexplained is how this Asiatic oaf, who could barely speak in public, write or even think, rose to be a member of the Bolshevik party leadership, a commissar in the first Soviet government and the party’s general secretary, all in the time of Lenin’s leadership and why Lenin, in his “testament,” appeared to rate Stalin second only to Trotsky in terms of ability. A great deal of ink is spilt trying to rationalise those occasions on which Stalin was on Lenin’s side of an argument and Trotsky wasn’t and on dismissing all the evidence that Lenin at least sometimes valued Stalin’s opinions. Trotsky also delights in listing the several Soviet conferences at which his name was included in the presidium before Stalin’s. Yet the more he labours along these fronts, the worse Trotsky himself appears. Such is the abuse showered on the subject, so wild the political judgements — Stalin is a Georgian nationalist on one page and a Great-Russian nationalist a few pages later, for example — that the real historical figure almost disappears. 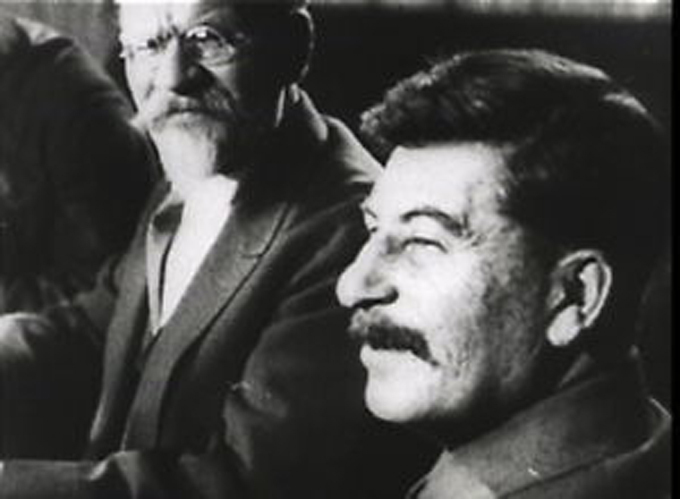 Naturally, Trotsky also exposes, sometimes with wit, many of the numerous falsehoods in the histories of the revolution purveyed by contemporary Soviet propagandists, with their preposterous exaggerations of Stalin’s role and accomplishments and their own distortions of events through which Trotsky had lived. But nobody would turn to such works for illumination today. In fact, Stalin was both greater and more terrible than Trotsky knew. He is long since indicted with vast crimes but they no longer seriously include that of being the grey mediocrity presented in this book. None of the Western leaders who dealt with him during the second world war, nor the Chinese leaders who met him subsequently — people in no sense beholden to Stalin or dependent upon him — would recognise the Stalin they knew in Trotsky’s portrait. Trotsky’s murder on Stalin’s orders, one of those crimes, prevented him living to see the confounding of all his anticipations regarding the imminent collapse of Stalin’s regime, the rickety “Thermidorian reaction” which Trotsky imagined it to be. Possibly a dirty secret may be that Stalin was a czarist/tsarist secret police agent who spied on his fellow Bolsheviks.Hence his desire to exterminate the Old Bolsheviks who may have exposed him.